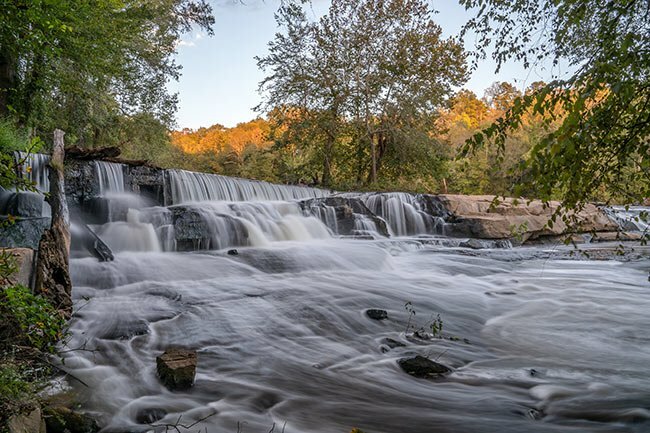 The southern section of Greenville County‘s Reedy River is home to Fountain Inn‘s newest park, Cedar Falls. 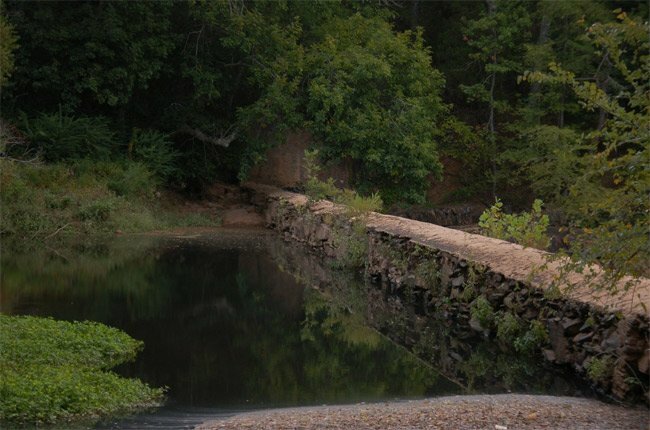 Remains of an early nineteenth-century mill, later a power plant, can be seen along the banks. 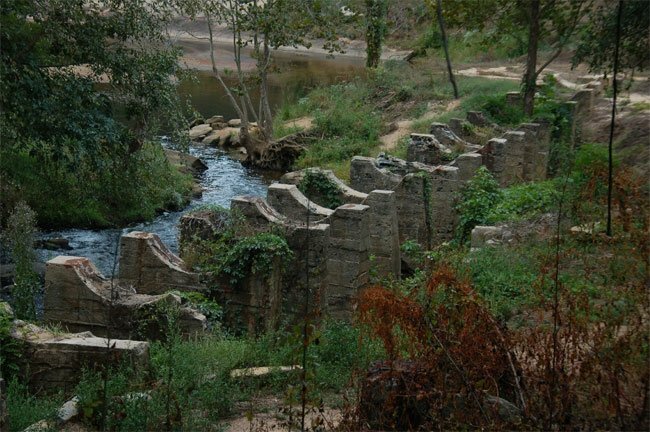 When European settlers reached the South Carolina foothills, they quickly made use of the rivers and streams that run through the hickory forests and canebrakes. 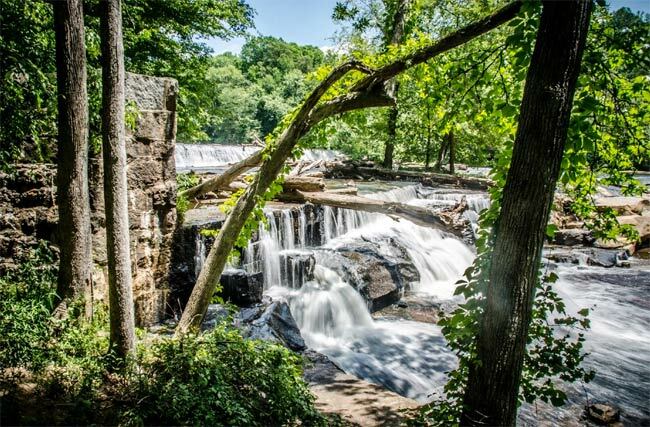 Settler and early industrialist Hudson Berry found the rushing waters here to be the perfect spot to build a dam that would power his saw mill, grist mill, textile mill, and cotton gin. 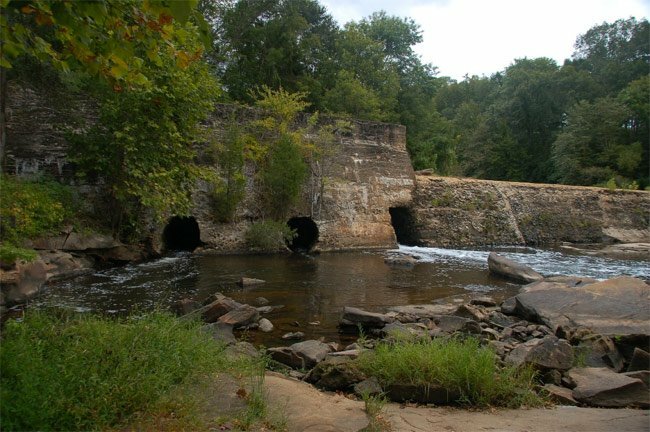 By the early twentieth century the dam was used to generate electricity, and in 1910 a larger dam was built that would power the Fork Shoals Mill, a medical clinic, and the private home of a local doctor named Ross. The power station remained active until 1950, when it was torn down. 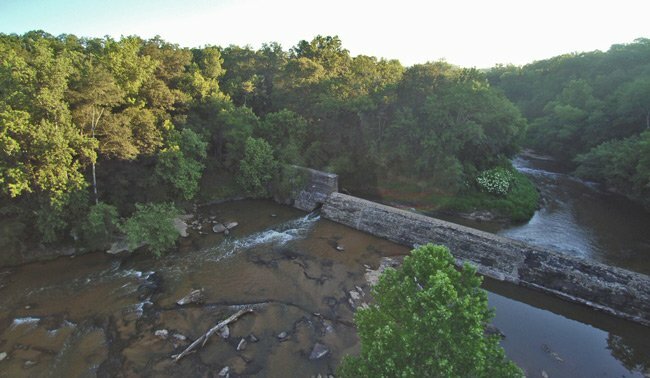 Like many businesses, Fork Shoal Mill eventually contracted with Duke Power for its power source, and many small competitors could not keep up. 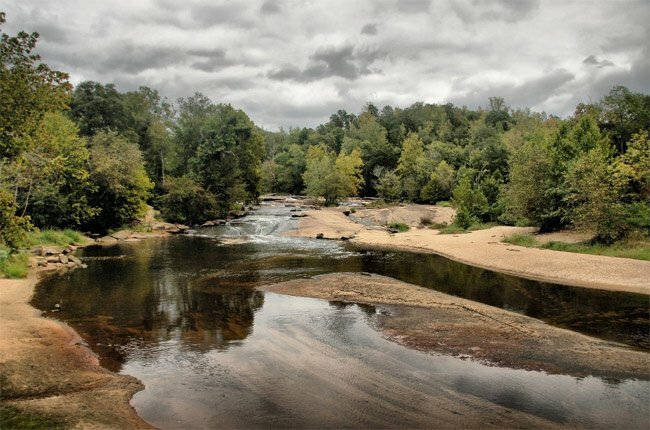 Today the Greenville County Recreation Department has made use of this greenspace by creating a 90-acre park along the river. 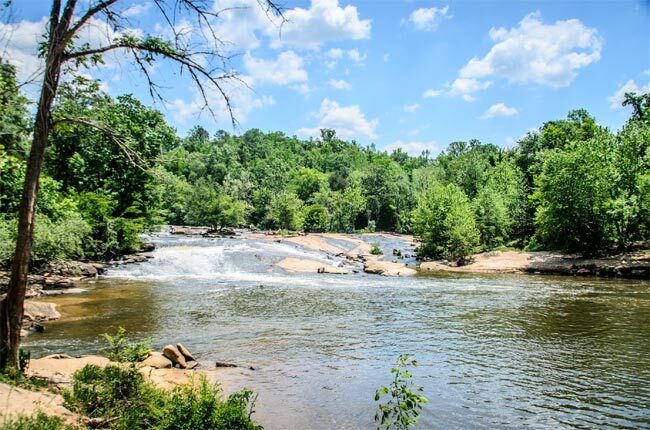 Visitors can enjoy walking trails, sand volleyball, picnic shelters, and a playground. 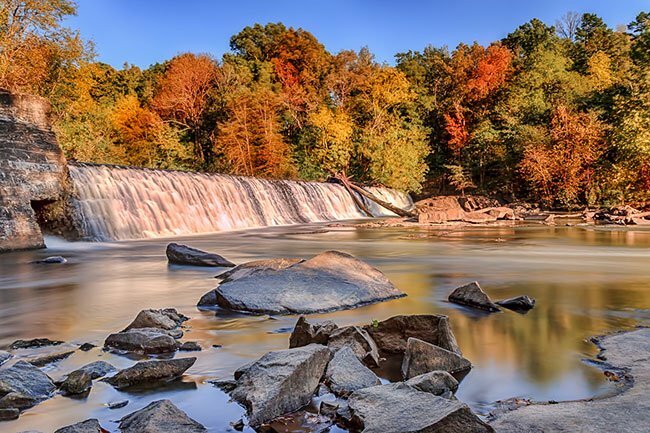 However, nothing competes with the natural beauty of the river. 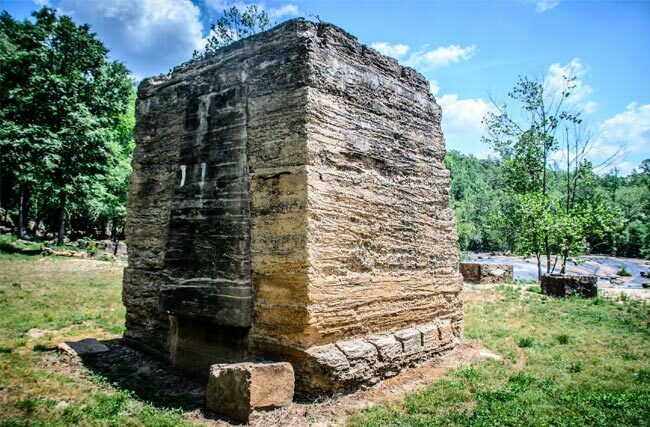 That building is the remains of the once mill, turned power plant that is mentioned early in the article. It is now just a feature of the park. Hope this helps! What was the building in photo #6 used for? This is a nice place, but it should be noted that it is actually in historical Fork Shoals. We are a historical community in our own right. This place is Absolutely beautiful! We are getting Married there 10/24/2015, I cant wait!!! Absolutely gorgeous! These pics make me want to go there. I have no doubt I couldn't walk that far but I could TRY! My husband, daughter, and I went Sunday. We didn’t know about it. It was absolutely beautiful. We are going back for a picnic in a couple of weeks. A great, quite place to go with family. Congratulations, and best wishes from SCIWAY! We are getting married there on 10/18/14. The colors are early this year. Weather should be awesome!! !